Does the Flu Vaccine Work and should my child get one this Flu season? The answer to both these questions is yes. Recent news reports have come out in reference to the CDC’s reported concern about the Flu Vaccines effectiveness. And thus the question must be should I even bother getting my child a Flu vaccine if it’s ability to help is in question? Setting aside the very small minority who are not eligible to receive the Flu vaccine like those who are allergic, and who have immune related issues and those under 6mo of age, every eligible person should get a Flu vaccine. Despite reports of the Flu vaccine not be as effective as hoped any vaccine is better than none. Our immune system responds to vaccines by producing antibodies to fight off actual infections we come in contact with. The vaccines job is to trick our immune system into thinking we have the illness, in this case the Flu, and thus stimulating an immune response that leads to the production of these protective Flu antibodies. Most will develop these protective antibodies in 2-4wks after receiving the vaccine. The problem with the Flu is unpredictability. The Flu type, severity, and the timing of its arrival to the U.S. from other parts of the world are extremely unpredictable. The top 3-4 types of the Flu are used to create the vaccine. If the these most common forms of the Flu are not the type(s) of Flu that show up during this Flu season then the vaccine will appear to be less effective as many who received the vaccine may still come down with Flu-like symptoms. However, the Flu vaccine, even in these cases, still provides protection. But that doesn’t make any sense, right? But realize that despite being vaccinated and still contracting the Flu the likelihood is that without some protective antibodies, produced secondary to the vaccine, the person would have been more critically ill and may have even required hospitalization. So despite concerns over the effectiveness of the Flu vaccine we at the Childrens Clinic would agree with the CDC’s recommendation and urge all our eligible patients to receive a yearly Flu vaccine, along with their family members to help prevent illness from spreading and to avoid the need to hospitalize our patients. https://jbrkids.com/wp-content/uploads/2014/12/flu2014.jpg 600 900 Stephen Ashodian /wp-content/uploads/2015/08/logo-emr.jpg Stephen Ashodian2014-12-31 16:59:192014-12-31 17:04:11Does the Flu Vaccine Work and should my child get one this Flu season? 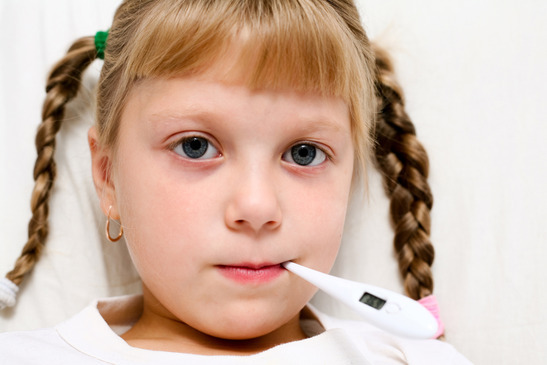 Why are children at higher risk for getting the flu? Children are more likely to get the flu or have flu-related complications because their immune systems are still developing. A recent CDC study shows that treating children with the flu can be costly. Each year in the U.S. an average of 20,000 children under the age of 5 are hospitalized for flu-related complications. During the 2011-12 flu season, 26 deaths in children were reported to CDC. Severe flu-related complications are most common in children younger than 2. Young children, 6 months to 5 years, are at risk of febrile seizures. Children with chronic health conditions such as asthma and diabetes have an extremely high risk of developing serious flu-related complications. https://jbrkids.com/wp-content/uploads/2013/01/flu-j.jpg 365 547 The Children's Clinic /wp-content/uploads/2015/08/logo-emr.jpg The Children's Clinic2013-01-15 20:36:512015-07-13 19:31:15Why are children at higher risk for getting the flu?